Russell Simmons is just starting to regain a little normalcy in his life. He’s back at yoga and the hip-hop and business mogul is even able to run some errands without worrying about whether a disgruntled RushCard holder might verbally attack him or worse. 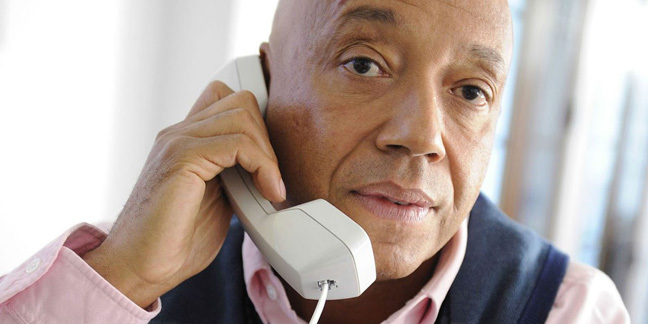 Simmons never hung his head despite mounting – if unfair – criticism that rocked the music impresario when his innovative pre-paid RushCard experienced a computer glitch last fall that prevented hundreds of thousands of card holders from accessing their money. “I took full responsibility. It’s my card and I made sure to reach out to card holders personally and I reached into my own pocket to help people with their rent, their medicine or whatever emergency that may have come up,” Simmons said. “All I knew how to do was to make good on it and try to make the people that were damaged whole again,” he said. Simmons has done even more and he continues his push to have the underbanked and the underserved benefit. If that sounds like a bit of a stretch, Simmons points to his starting the RushCard as proof that real change can happen. “I was first, no one else did this until I came out with my card,” he said, noting that he’s not only the face of RushCard, but along with his American Express and other items in his wallet is his own RushCard that he regularly uses. Simmons said his fight for credit building is an uphill battle, but it’s a battle that can be won. It’s as much part of his life as yoga, he said. “You pay rent every month for eight years on a RushCard, why can’t you get a mortgage? I think that’s a travesty. I think a lot of the big companies like MasterCard, the Visas, the others that do the processing and infrastructure work; a lot of us could come together and force them to accept this information on credit reports of the world,” Simmons said. As Simmons pushes for changes in policies in the credit industry, he’s leaving the door open for starting his own credit reporting agency. In the aftermath of the much-publicized computer glitch – which Simmons still refers to as a “tsunami” – the business leader provided free service to card holders for five months, sacrificing all of his company’s profits to do so. He also reached a more than $20 million settlement from a class action lawsuit filed against RushCard, because of the glitch. Simmons said that he didn’t mind paying the $20 million settlement. “I don’t mind paying the $20 million. I don’t mind that that was our cost. I am going to spend a lot more money than that in the community, in my peacekeeping programs, in RUSH and art education,” he said. Simmons said so much more will soon be announced and he’s confident that RushCard holders and others will be pleased. “We are going to be in the community in a way that we’ve never been,” Simmons said.